The black smoke belching out of a county bus is a person’s most startling contact with fossil fuels. Most visible after acceleration, the toxic fumes attack you while driving, walking down a street, or passing by your home, office or school. For the old and the young, these tailpipe emissions are especially toxic, contributing to asthma and lung cancer. 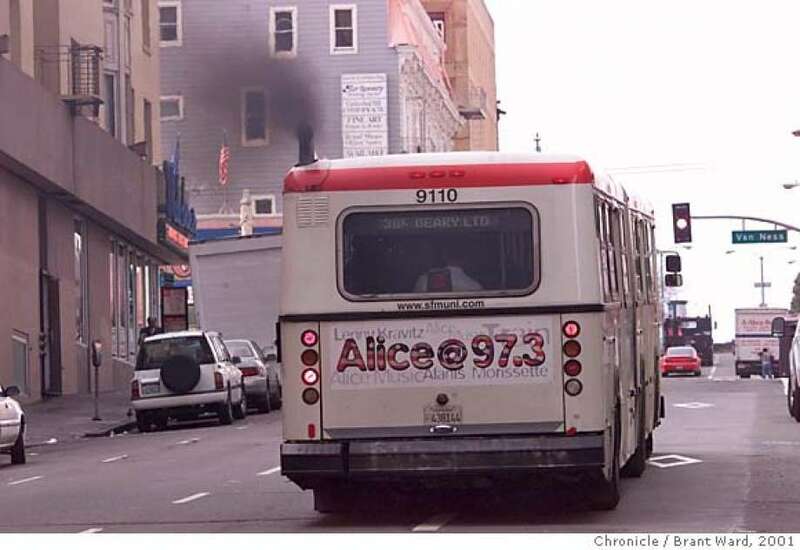 Buses are great mass transit options, but they are also contributors to smog, lung disease and global warming. Despite the clean vehicle slogans on the side, all buses in Miami-Dade County are powered by dirty fossil fuels. But that’s about to end. Today’s buses do not need a tail pipe, and Mayor Carlos Gimenez has committed to introducing them into Miami-Dade’s bus fleet. Metro areas like Los Angeles, Seattle, Santiago de Chile and even our capital of Tallahassee all operate all-electric buses now with no tailpipes. While the sticker price is slightly higher than that of diesel, they are about the same cost as diesel hybrid or CNG buses and cost far less to fuel and maintain. The yearly fuel savings alone for one bus can be as much as $400,000 to $500,000 over the 12-year life of a bus. Along with cost savings, the new all-electric buses offer a more comfortable ride, are quieter and more responsive. But the biggest benefit is that they are much healthier. Unlike polluting CNG and diesel hybrids, all-electric buses produce no emissions. Miami-Dade County’s Mayor Carlos Gimenez has said that he will start buying electric buses, and the Transit Department is finalizing a Request for Proposal (RFP) for 25 all-electric buses. 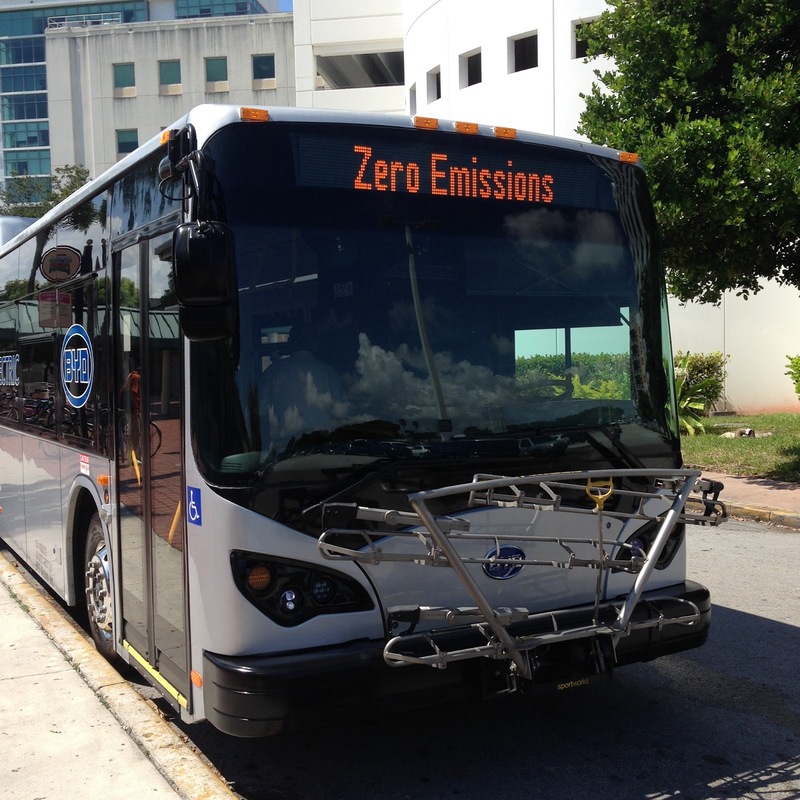 After running the electric buses on every route in Miami-Dade County last fall (you might have been lucky enough to ride one), transit staff determined the buses were ready for the road. Battery technology has advanced to the point where the buses can run Miami-Dade’s longest routes for up to 155 miles and, after a quick recharge, go back on the road. While 25 buses is still a small part of the county’s total fleet of about 900, the purchase would be a big deal. Miami-Dade, a city whose future depends on curbing carbon, would claim one of the largest electric bus fleets in the nation. Even with all this good news, the county is still planning to convert most of its aging diesel fleet to natural gas. But guess what – natural gas buses are hardly better in fighting climate change. In fact, research shows that a diesel bus emits a whopping 3,000 grams of carbon per mile, CNG runs a close second with 2,800, diesel hybrid 2,300, and battery electric 650 (factoring in the emissions from the electricity used). Each electric bus would reduce carbon emissions by upwards of 122,000 kilograms per year compared to diesel and CNG. No matter the electricity source, whether it be wind, solar or even coal, electric buses still produce lower emissions than natural gas or diesel. But with renewable energy, all electric buses get even cleaner. If FPL starts building more solar plants, we could actually power all of our buses and cars with the sun. But the first step is getting rid of dirty tailpipes. So write to Mayor Gimenez’s Transit Director Alice Bravo and ask her to get electric buses on the road ASAP. We can’t afford to wait. Our health and our survival as a city depends on moving to 100 percent clean power and 100 percent clean transportation. Making the switch now to electric buses is one significant way to cut Miami's carbon emissions and make the air cleaner for all.